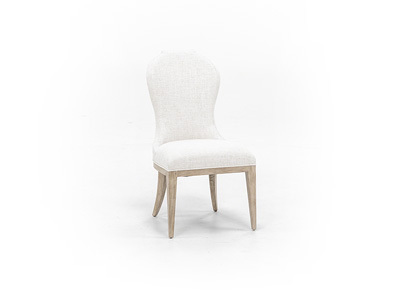 Find your perfect chair! 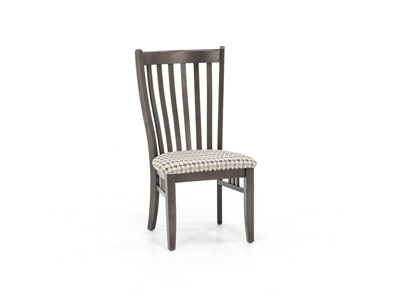 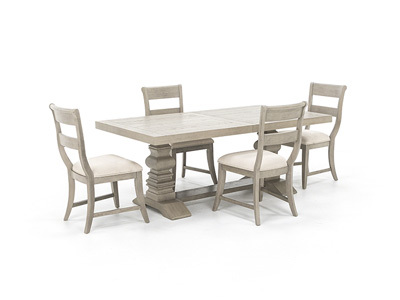 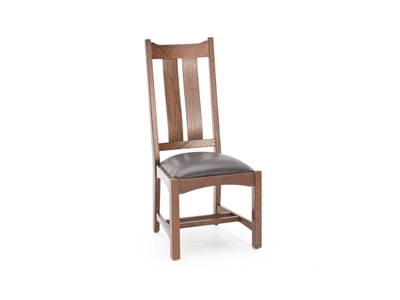 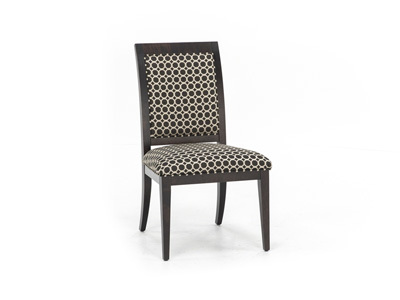 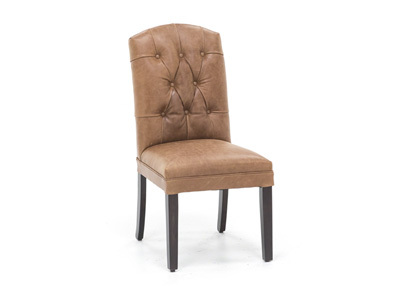 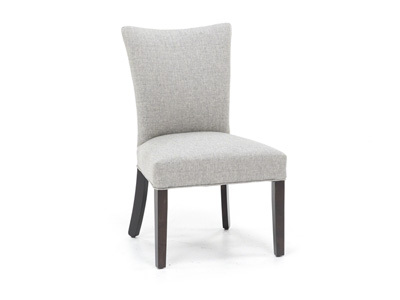 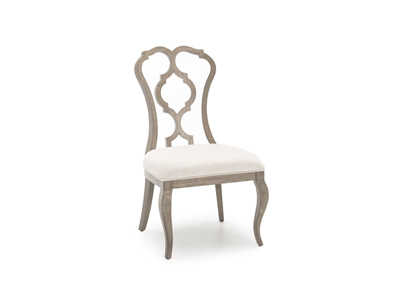 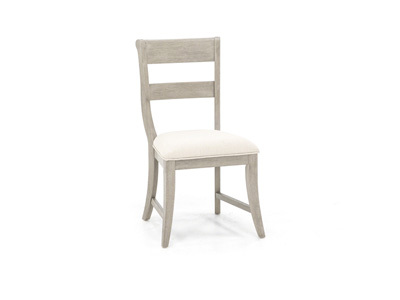 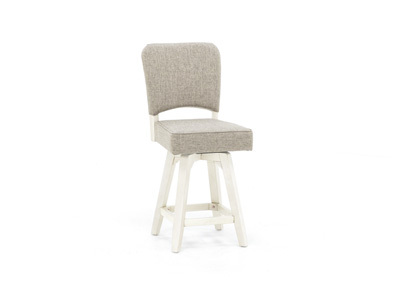 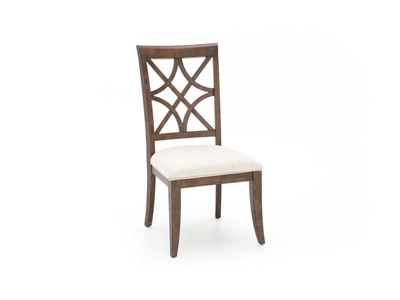 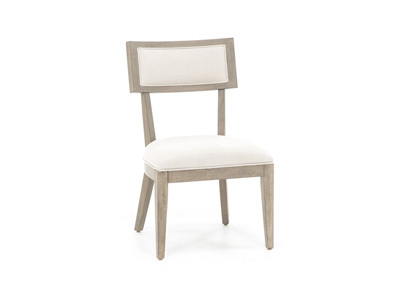 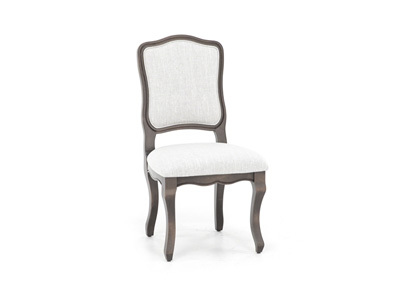 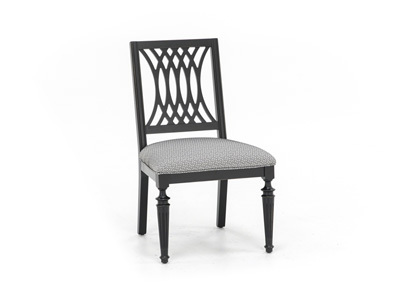 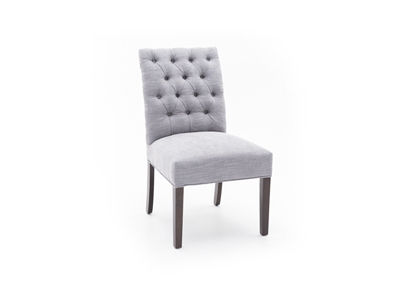 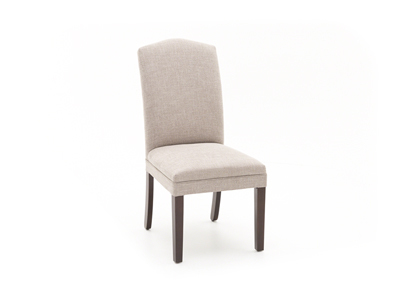 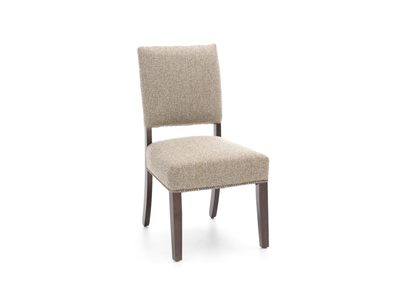 This upholstered Parsons dining chair is made in the USA and is available in several styles to create a whole new look for your dining room or as an accent to your current room. 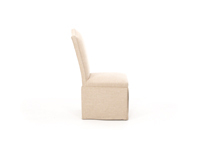 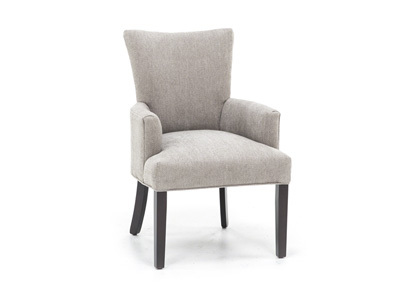 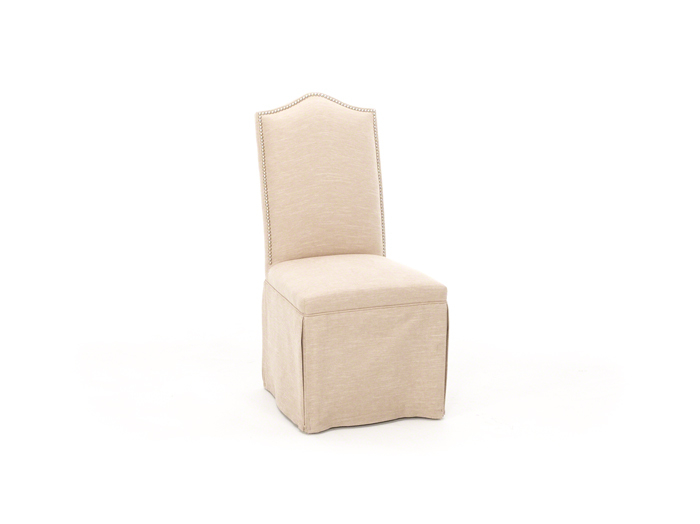 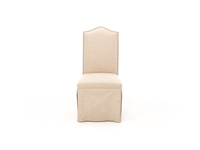 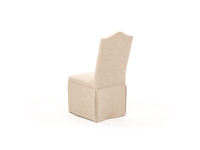 The camelback chair pictured is covered in a linen fabric all the way to the floor. 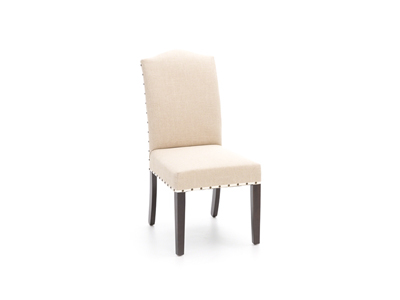 Chrome nailhead trim adds a finishing touch around the elegantly curved back.